WE THANK YOU FOR YOUR INTEREST IN OUR EVENT. WE HAVE SOLD OUT!!! WE HOPE YOU WILL JOIN US NEXT YEAR. This certified 5K run is only $8.11 and takes place at the Apex Center in Arvada, CO. Tech running shirts are included with registration. 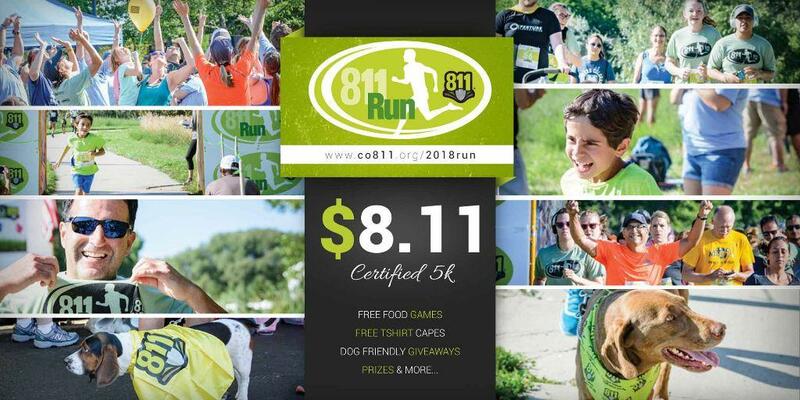 This family-friendly (including your four-legged furry family members) run/walk will start at 8:11 a.m. and will have a post-run safety expo that will include utility companies, entertaining industry related demonstrations, music, prizes and other giveaways. New this year - all participants will be assigned a start corral based on their estimated pace per mile. The start will be released in waves, the first wave will start at 8:11 a.m., subsequent waves will start every 3 minutes (approximately).